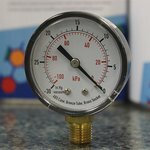 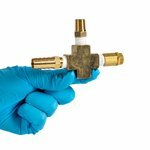 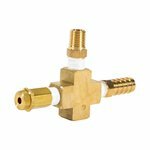 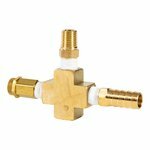 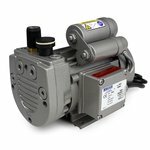 This durable brass Bleedoff Valve Assembly gives you greater control of air pressure right at the source of vacuum. 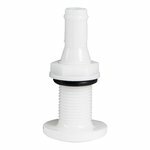 Bottom port is equipped with Bleedoff Valve, with adjustable screw for control of airflow. 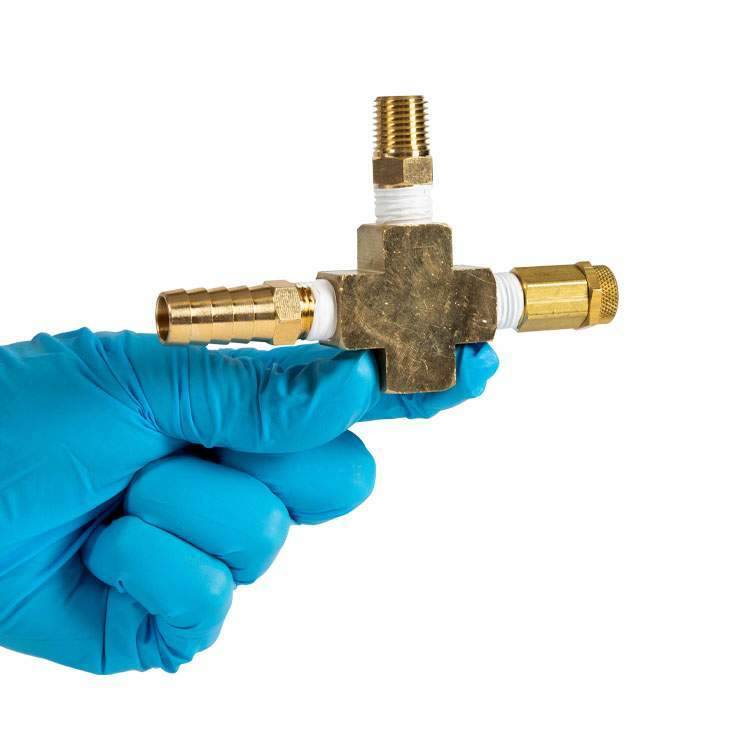 Attach 1⁄2" Vacuum Tubing (#893) to barbed fitting on fourth port for a leak-free air connection. Bleedoff Valve Assembly This item is sold by the unit.